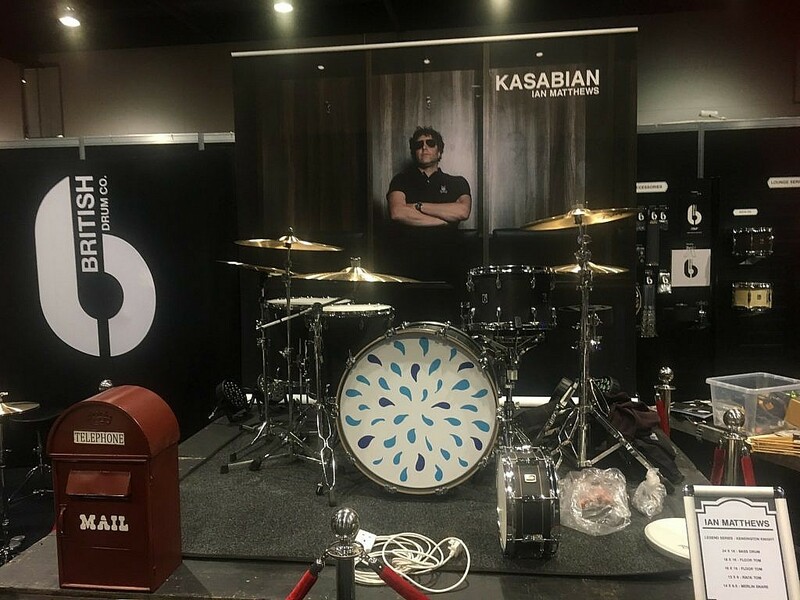 It was a massive honour to be invited by MEINL Cymbals to represent their brand at the first-ever UK Drum Show in Manchester. 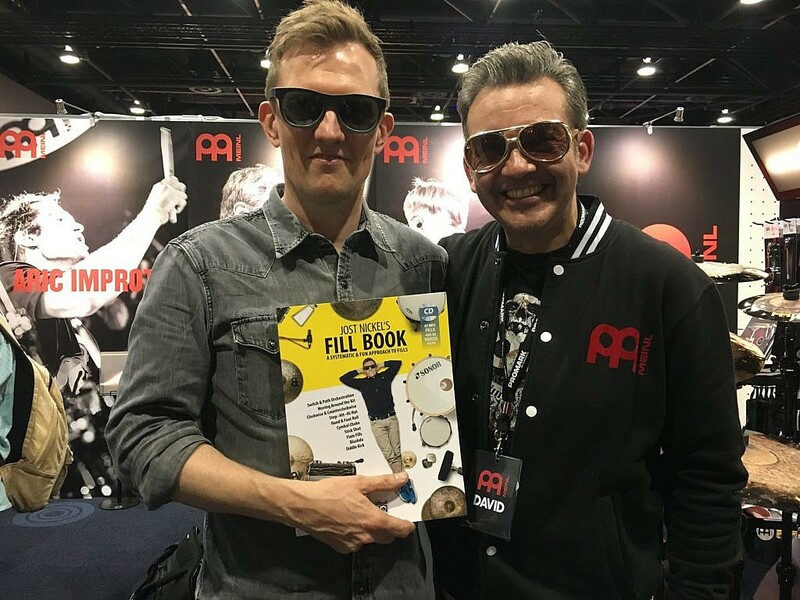 As one of MEINL’s UK Hand Selection Cymbal Specialists I regularly visit the HQ in Germany to purchase my stock for dD Drums, so I’ve got a deep understanding of the cymbal making process and know those cymbals and their sounds very well. I’ve also developed a great relationship with the lads in Gutenstetten, and I can tell you that we’ve had some seriously good laughs. They love what they do and work really hard. 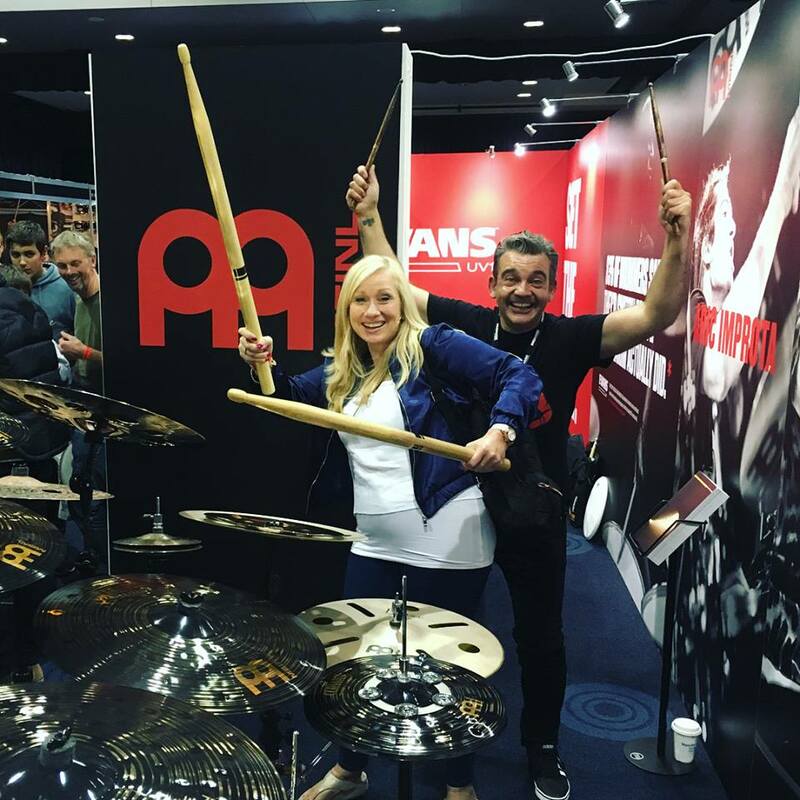 The UK Drum Show was actually the London Drum Show moved up to Manchester for this year. The Manchester Central Complex, conveniently located across from my hotel, was the venue. Brilliant! In addition to a whole lotta drums and cymbals and drummy stuff in general, there were some absolute drumming legends wandering about before and after their performances. I had a hilarious time with JR Robinson of Michael Jackson, Qunicy Jones and Chaka Khan & Rufus fame. Top international educator Jost Nickel, who like Benny Greb and Anika Nilles studied at Germany’s famed Pop Akademie, was a killin’ groover. There was also Dennis Chambers! And Simon Phillips! Plus two of the world’s top Roland clinicians – Craig Blundell and Michael Schack – played together! Thomas Lang was another monster player on the bill. And the list goes on…. But I caught none of it! Nothing! Not a note! And I barely got to see the other brands on display or chat with my industry pals. Why? Because I was too busy enjoying myself as Head of Edutainment (educating + entertaining) at the MEINL booth. So many folk stopped by that I simply could not get away. Truth! Meinl is hot! Next to me were Evans and ProMark who, along with Meinl (all distributed by D’Addario) comprised a wee ‘village’. You can imagine those three brands together – the place was buzzin’! 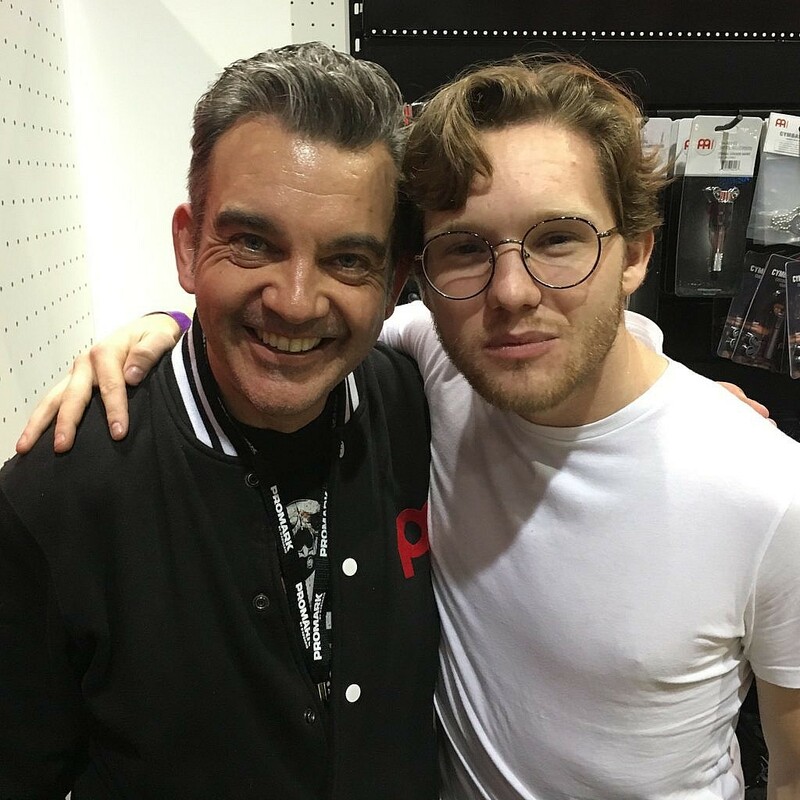 We all had such a great time meeting existing fans and making new friends over those two days. Now I’m back at dD Drums in Falkirk, preparing to present the Scottish Drum Festival next month. Over the past few days I’ve time to think, and I’m really, really appreciating Meinl’s invite to represent them. It was incredible to share my knowledge of and love for those cymbals. The vibe from everyone was totally positive. You know, even though I caught none of the performances and saw very little of the show, I did meet many great people and got the hang with my pals in the evening. We were all lovin’ the opportunity to engage with the heart of the UK Drum Scene. It was amazin’ seeing students and younger players getting selfies, autographs and having chats with JR, Dennis and the other drummers. That’s why festivals and events are so cool – we’re one big community. I also saw men and women of a trade I’m so proud to be a part of representing what they love: The UK Drum Scene. 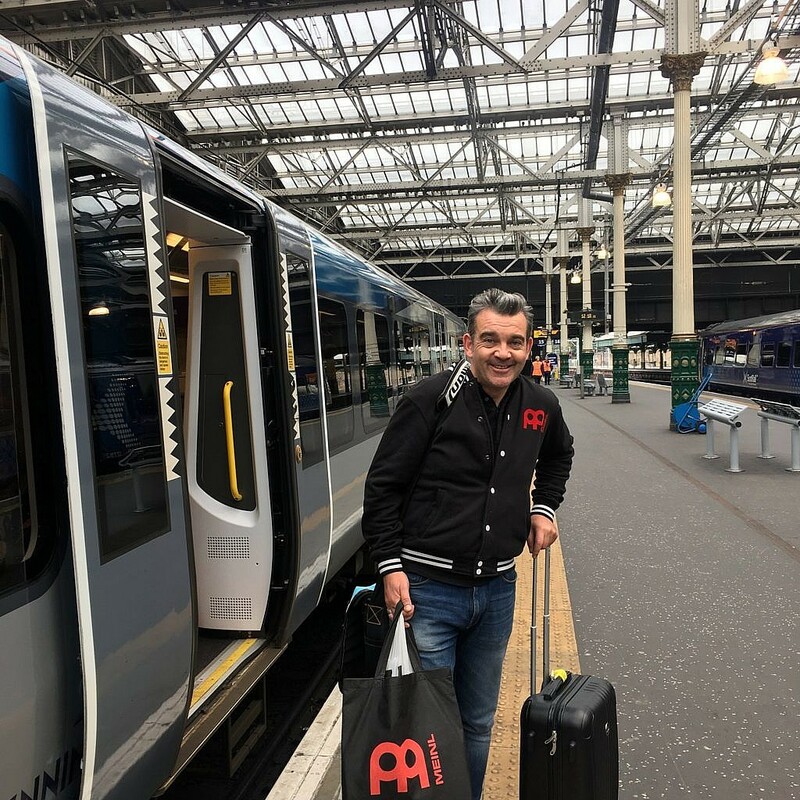 As proof I was there, here’s a wee photo scrapbook of some great moments, the odd kit I managed to see and some true friends that visited with me. 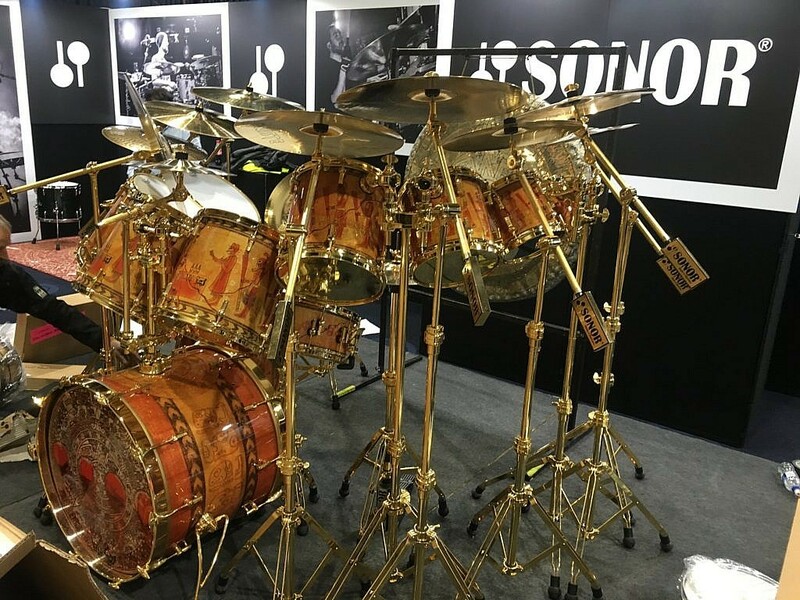 On my Friday evening arrival I had a walk around and managed to catch up with Nicko’s tech Charlie as he set up this Beauty on the SONOR stand. My Buddy Ben Aldred from ProMark with his babies! the 2 Show special ProMark FireGrain snares. Amazing idea and amazing snares. Fancy winning one of these beauties? Head over to ProMark UK Facebook page here for your chance to win this rare drum. 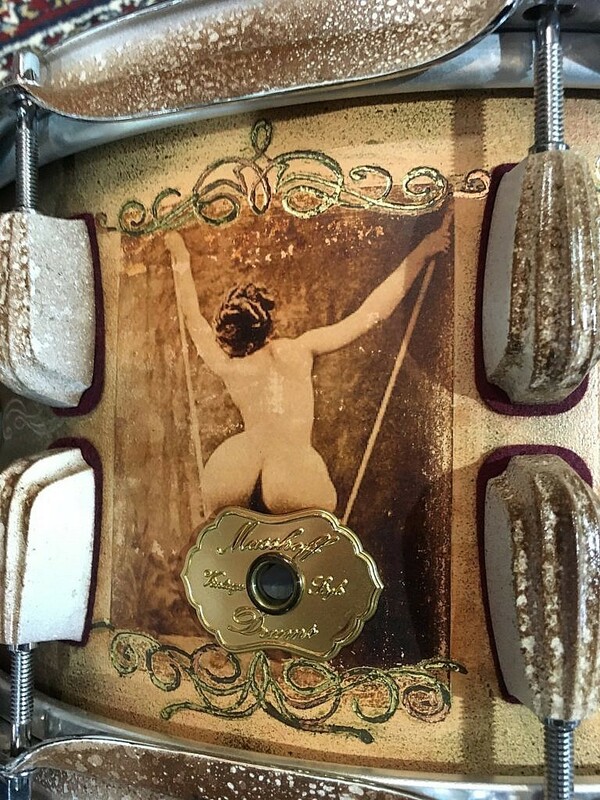 I know… It’s a bit Cheeky but Udo Masshoff of Masshoff drums is Hoff the scale. Great work Udo. 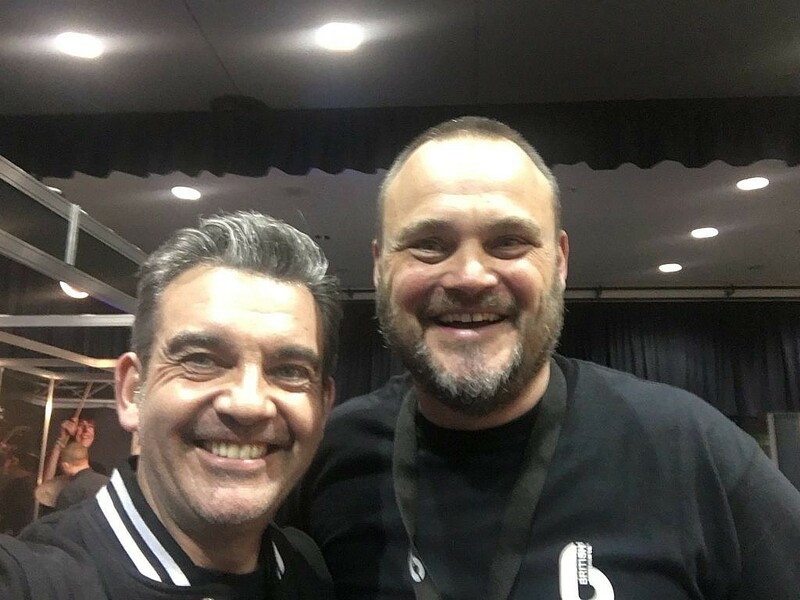 Couldn’t even get a minute to go visit my favourite drum builder ever… Keith Keough and the British Drum Company gang rocked the show. So glad I got a look around at setup on the Friday. Here’s the Boss, Ian Matthews holding court in the middle of their awesome stand. 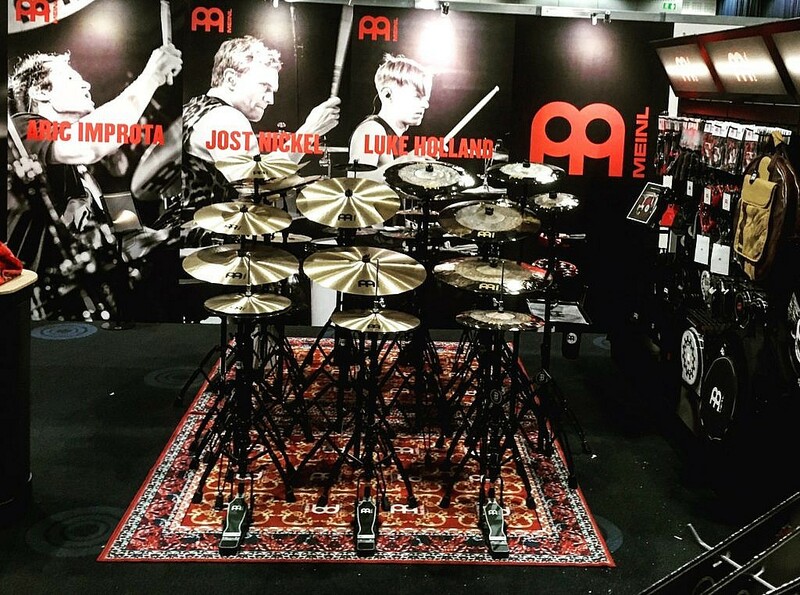 The MEINL display was fantastic and a joy to show folks around. 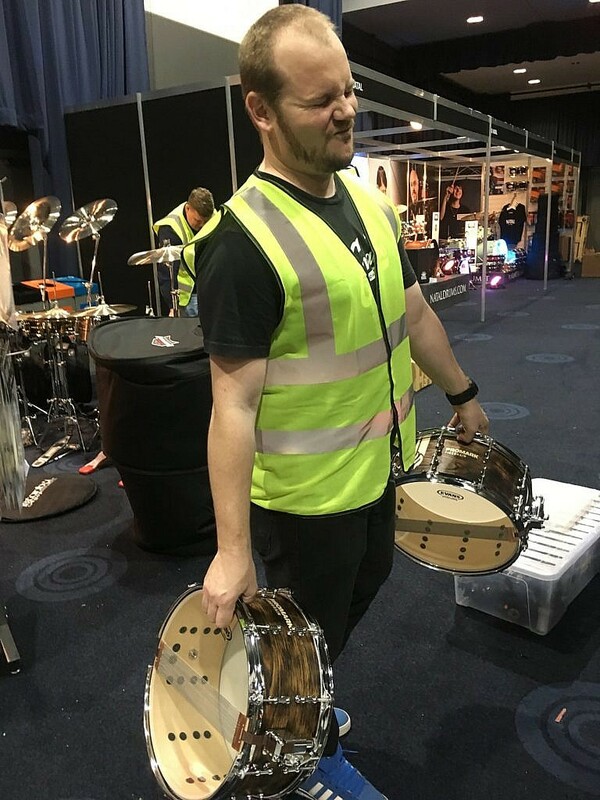 We were showing the New HCS series Trash Stacks from the entry level, Classics Custom Dark Cymbals from the mid range went down a storm with their keen prices and cooler looks. Demonstrating the Artist Concept Stacks was fun, allowing me to show the many options available with stacking in general. 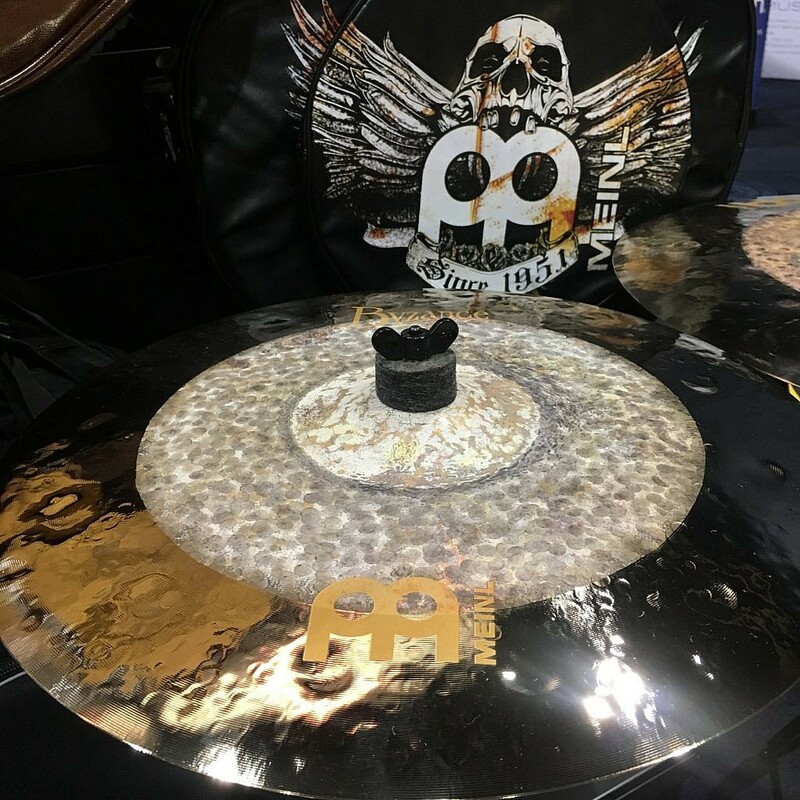 MEINL’s latest offering of German machine made cymbals -PURE ALLOY were very well received over the weekend and genuinely surprised the UK Drummers with their cut and shimmering bright qualities. 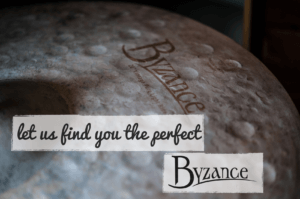 Representing the MEINL BYZANCE handmade range we had the entire Extra Dry DUAL range until they sold out that is! Beautiful cymbals. Click here for my quick walk around video. Was blown away when my wee mate from Blossoms Joe Donovan popped over to see me. Great to hear how him and the lads are all getting on. I love the hard work pays off story every time I hear it. 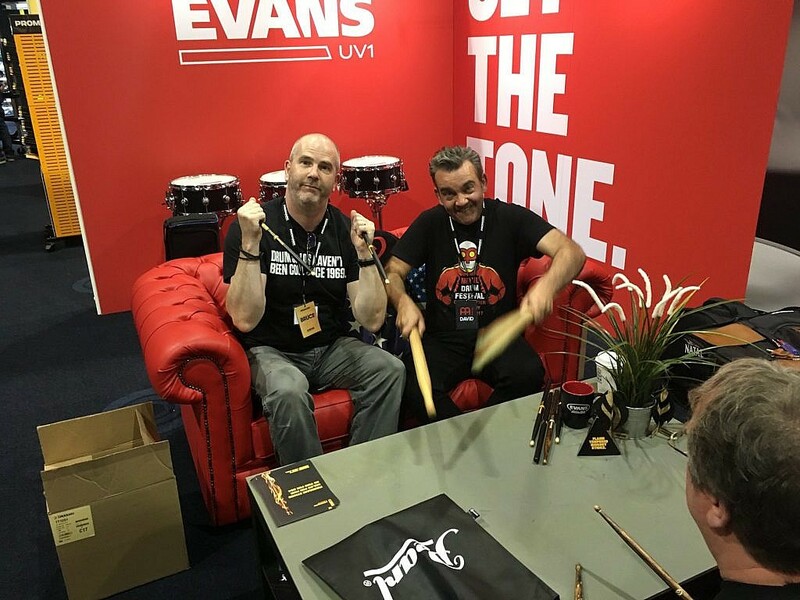 Taking 5 on the Sofa with Bruce Falconer from D’Addario after a mad Sunday and I got a bit practice done on the awesome ProMark practice table. My final visitor on the Saturday was Legendary funny man and British Drum Company’s Al Murray. 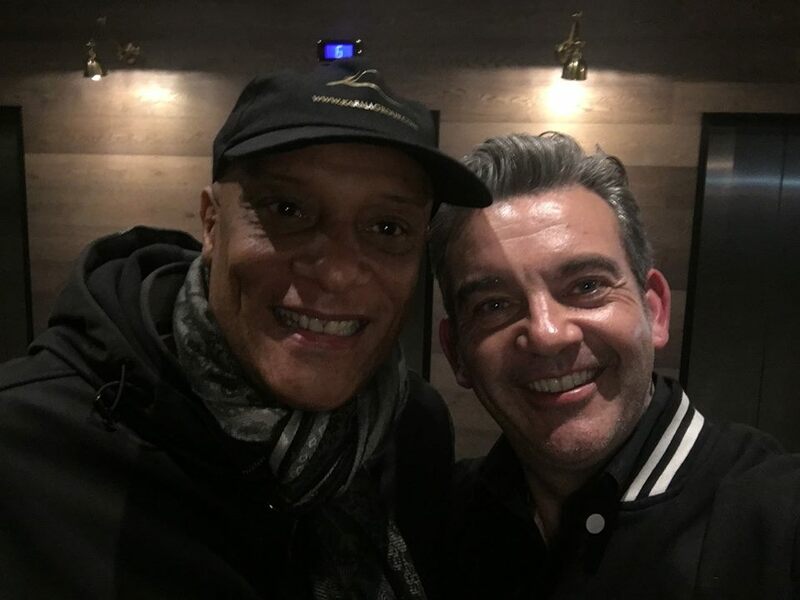 Had a great catch up with Al on the Blossoming UK Drum Scene as I impressed him with what MEINL had to offer. Finally got to see one of my earliest drumming heroes. Mel Gaynor. Went to see Mel play Ibrox with Simple minds in 1986 and my seat didn’t allow to see him playing that day – I just saw Jim Kerr and the backing singers. But I sure did feel his playing on the day and it was Good to tell him that. So after 3 days of awesome people, drums and all round Good Vibes I i bagged myself up All Happy and Guid and headed back up to Scotland full of inspiration to Rock our own 6th Annual Scottish Drum Festival. Check here for further info and stay tuned to find out who else will be accompanying Anika Nilles and Miguel Lamas on November 5th. Thanks for sharing my experiences and I Hope to see you there! Beautifully written, David! Wish I was there 😛 Some seriously cool gear on display there eh? Too busy making folk laugh to have some banter of yer own!